Weight: 23.08 g., 31 mm. 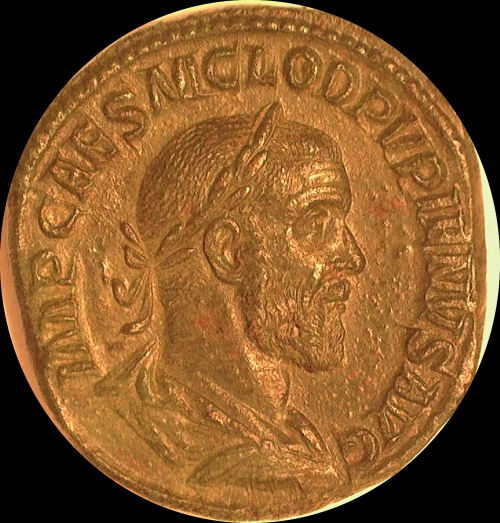 Pupienus, Sestertius, Rome, April-June 238, 23.08 g., 31 mm. Obv. Laureate, draped and cuirassed bust right, IMP CAES M CLOD PVPIENVS AVG. Rev. 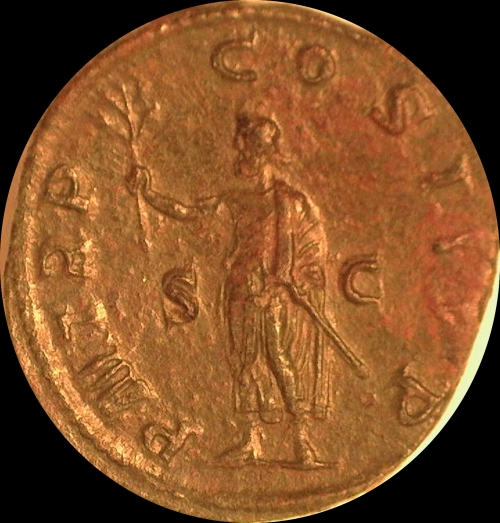 Emperor, togate, standing left, holding branch and parazonium, s c in field, P M TR P COS II P P, S C in field. RIC 16; BMC 28; C 21; S 8498. Extremely fine, brown green patina. $7500. Provenance: Seaby List M228, July 1934, No. 17530, where there were offered 2 Pupienius Sestertius, held together from antiquity, this being the finer. operations against Maximinus until the arrival of the Gordians. On the news of the Gordians' defeat and deaths at Carthage, however, the Senate met in closed session in the Temple of Jupiter Capitolinus and voted for two members of the committee to be installed as co-emperors – Balbinus and Pupienus. Coins from both these emperors w a very short reign are Rare.